Further to the most unfortunate incidents reported on the post below, and after Hivaoa Holdings’ public apologise for their human error, I tried again to have my money refunded. However, this was the result. [2010/11/18 13:34] User not online – message will be stored and delivered later. [2010/11/18 13:35] User not online – message will be stored and delivered later. [04:27] Summer Wardhani: thank you, I replied too. My son is ill and I really don’t have the time for this, all I want is my money back thank you. Am abandonning never Never right now to you. Have a nice day! [04:27] User not online – message will be stored and delivered later. [08:00] Summer Wardhani: me ? [08:01] Summer Wardhani: how was i dishonest ? by paying you full and not being refunded ? [08:01] Summer Wardhani: who’s indian here ? [08:01] Summer Wardhani: I’m african, so WHAT ?? [08:02] Summer Wardhani: LOOOOOOl I was born in Mozambique, outlander…are you out of your mind ?? I am not adding much more, and will let each of you take your own conclusions – even because a very kind friend sheltered me in-world. I would only advise my dear readers not to try this at home… in particular, if you own a business, note that this is NOT the way to treat costumers – either old, new or potential. Act opposite to this example and you’ll see good results, that’s for sure. Hivaoa Holdings – Fraud or irresponsible human error ? I have been renting the sim called Never Never from Hivaoa Holdings for quite sometime now. These last two months I have hardly been in-world and paying for two thirs or even one third was getting too heavy on my purse, so as the rental period came to an end (five days to let go the sim at this point) I started looking for a new place to settle in. 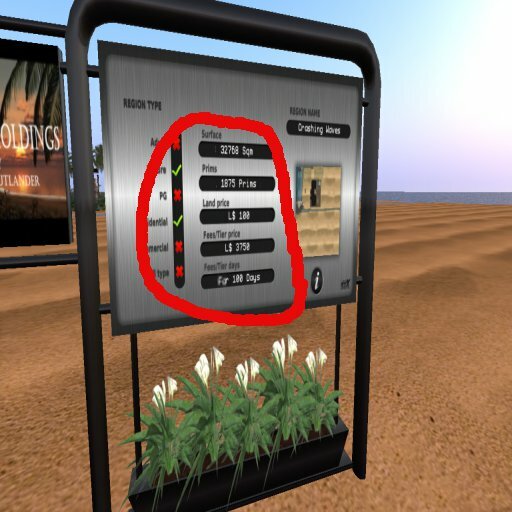 I headed to the land in-world to confirm the sales conditions… and found a huge board stating the exact same price. I have been a rentor of Hivaoa holdings for over one year now, renting the HS called Never Never. You may check from my records that I have been a trustful rentor. Unfortunately, I will not be able to renew Never Never leasing for another month and today I was looking for a smaller place to settle in. 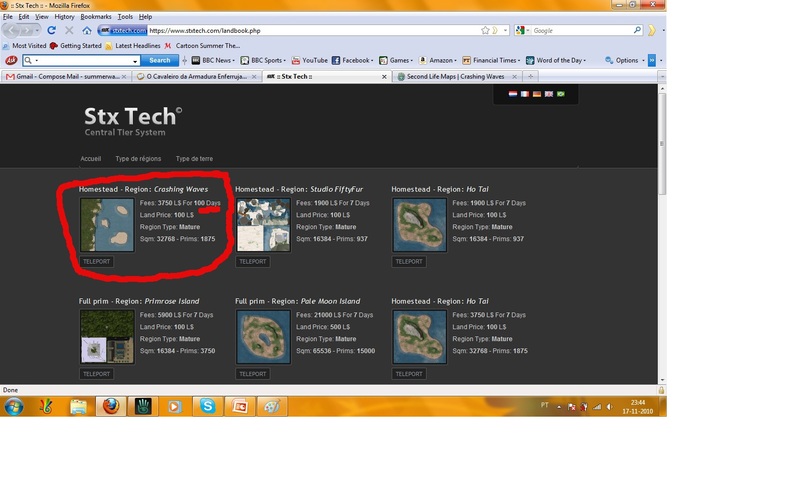 I found in your site an advertising for Crashing Waves, came to the land and found a board confirming the information. I contacted one of your staff, Ms.anastasia Adder and presented her with the images here below and in attach to this notecard. Thank you for being one of our precious client and staying with us for so long. Thank you as well for pointing out the mistake of setting the rental server for 100 days instead of 7days for the land L$3750weekly 1875prims 1/2 homestead. Sorry for the human error. I hope you will be able to forgive us for it. The error has been rectified and you have now 7 days in your rental. No doubt I would be more than happy to be their double rentor for a whole week, right ? Even because I do need lots of lands and lots of prims in order to loggin twice a day to check on notecards and prevent messages from being capped… right ? *sighs – oh boy, these sort of things really make me ANGRY! So I asked for a refund – and the very rude and impolite reply I got (which unfortunately was kept in my laptop at the office) was something like : “that has to be asked to the administration”. In attach I am resending the notecard I sent yesterday to Mr. Siddhart Sohmers and Ms. HIVAOAHOLDINGS Pearl. I am also sending the note I received today from Mr. Sohmers. As he tells me that refunds are dealt by the management, I am hereby requesting that you reimburse me the amount of L$ 3215 (that is, I deducted from 3750 L$ I paid last evening the due amount for one day rental – I would have never rented the place if I new it would cost me not 3750L$/100 days as advertised on your site and on the board place on the sim itself but 3750L$/7 days – it happens that I am already a rentor of yours and the sim Never Never is due only in 5 other days. Since I am not a business owner or have no use for a second place – was even searching for another smaller plot – why would I need half a sim for a week?). Please be informed that I have set half Crashing Waves to sale to HIVAOAHOLDINGS Pearl – since I am also due a set-up fee I should have never paid. I am also returning the sim Never Never today and will abandon land asap. Hope this puts an end t this unfortunate incident which I want to believe is not your organisation’s fault but rather only inefficiency and bad manners from a membrr of your staff (Ms. anastasia Adder with whom I dealt yesterday, on the other hand, was quitehelpful and always kind). I would also like to inform that I have filed an abuse report n the name of Mr, Sohmers, who was kind enough to reply me that if you/he was/were thieves, he/you would have ejected me and banned me from Never Never right after my first tier payment. I have to admit that having owned 5 full sims myself and being a resident for 4 years now, i was never so badly treated by some minor staff. Even in First life, where I own my apartment and have bought and sold a couple more of them had never had such a treatment from a salesperson. In conclusion, I expect this matter may draw your best attention and thank you for your refund at your earliest convenience. Me, who only yesterday evening was saying all my friends you had had a brlliant marketing idea and were doing this great promotion, have to admit that am very disappointed at all this. The entire issue has been brought to the notice of the management of HIVAOA Holdings. Siddhart has told us about entire conversation he and you had. There was still a scopre for some compensation in terms of 2-3days extra given to you to make up for the error on Siddhart’s side for wrongly putting 100 days in web configuration instead of 7days. But we have 0 tolerance towards the race attack. You apparently called his country a bad name and he responded to you only with a question to put you in his shoes. This is unforgiveable. He was polite to you and requested you to forgive him to which you responded badly. We can not ingore this fact either. We do not do refunds. Sorry. You lands Never Never and Crashing Waves will be reclaimed only when your tier is due in 5 and 6days respectively. Sorry that you have to file abuse report and had to go through this unfortunate incident. But from our side we can not help you anymore after you calling him bad names. We hope you had a pleasant stay with HIVAOA Holdings so far until this incident happened.